Obituary for Betty Jean (Orbison) Bailey | Donald V. Borgwardt Funeral Home, P.A. Betty Jean Orbison Bailey of Greenbelt, MD, passed away at the age of 90. Betty was born on August 19, 1928 in Parkin, Arkansas to Wallace and Lettie Fay (Ellis) Orbison. She graduated from Memphis State University in Memphis, TN. She retired from the Federal Government as a computer programmer for the Office of Personnel Management in the Pentagon. Later in life she earned a masters in Philosophy from Arkansas State University. She was married to Robert Eugene Bailey for fifty- four years. They lived in Cherry Valley Arkansas after their retirement until Robert’s death. Betty was one of the early pioneers in the sport of dog agility and trained, and bred hunting dogs while she lived in Arkansas. She volunteered at “Cookies at the Bridge” in Greenbelt accompanied by her most recent dog Barney. She loved knitting, bird watching and a good western movie. Her life was marked by her scrupulous honesty, her gentle kindness and her abiding faith. Betty was preceded in death by her parents, her husband Robert and daughter Patricia Lee Polk. She is survived by her brother Wallace Orbison (Libby) of Ocala, Florida; son Robert Eugene Bailey, Jr of Coronado, California, daughter Rev. Fay Lundin (Erick), pastor of College Park United Methodist Church and Mowatt Memorial UMC in Greenbelt, and grandson Timothy Lundin (Tiffany ) of Alexandria, Virginia. 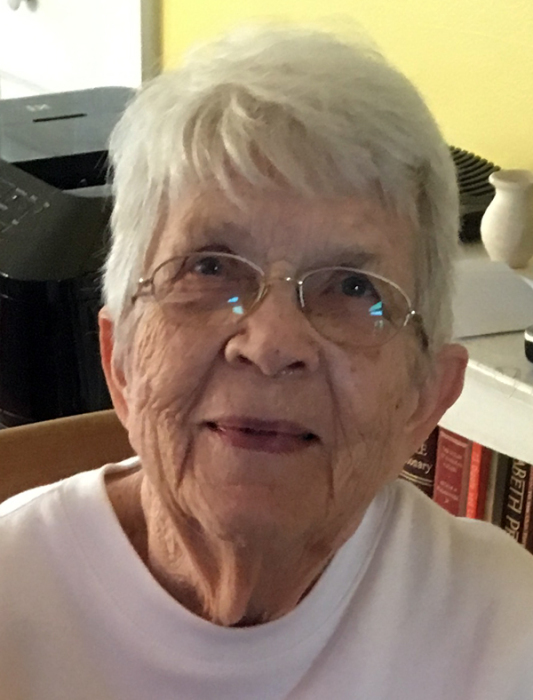 Betty’s memorial service will be Saturday March 30, 2019 at 11:00 a.m. at Mowatt Memorial United Methodist Church, 40 Ridge Road, Greenbelt, Maryland.